This Summer my good friend and very talented wedding stylist Kirsten Butler called me up to borrow some stationery. 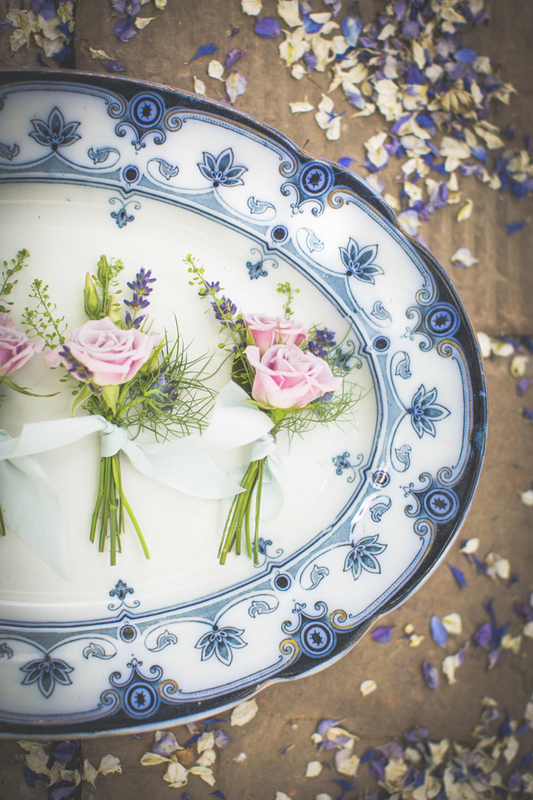 It was for a English Summer Wedding styled shoot she wanted to do, inspired by her mum’s beautiful blue and white crockery. 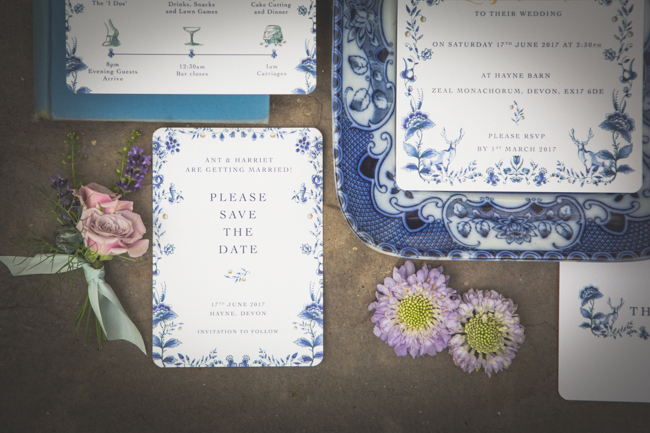 By some amazing coincidence, the Blue and White delftware design had been a huge inspiration to our own wedding stationery. I already knew I wanted it to live on after our nuptials and make other engaged couples happy. Therefore we decided to turn it into a collection. This shoot was its first outing as one of our in house pre designed collections. The collection is called Ophelia and can be found in our Romantic range. So we can treat you to the full shoot in the Gallery. For me, the real highlight of this shoot is the venue, can’t you just see the perfect English Summer Wedding taking place here? 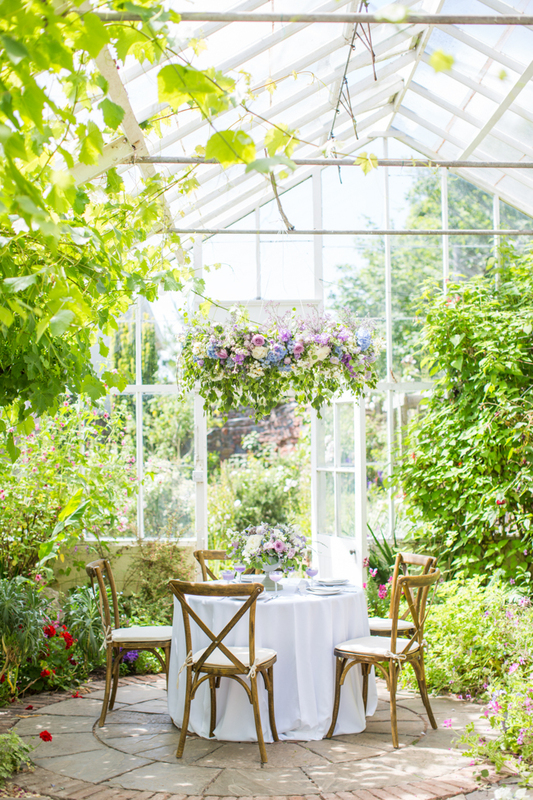 The Grange boasts a beautiful green house full of fresh greenery which gave this shoot a wild, laid back elegance. My dream wedding is one where everyone feels they can relax right into it and the couple feel like their venue is more like a second home. Feeling relaxed does not mean that aesthetics need to suffer. Just look through our gallery for a fuller version of this shoot, a gorgeous bride with soft curls and flat shoes, wandering leisurely about in the dappled light. Kirsten is a brilliant stylist and has great team around her. Fran at Evoke Pictures is particularly good at capturing those little details so I am always excited when she shoots my stationery. This English Summer Wedding shoot has aptly been published on The English Wedding Blog and includes a beautiful film of the day, shot by the McGill Sisters.